How many of you have a favorite pairing or grouping of colors that you like to use when building your own custom Traveler? 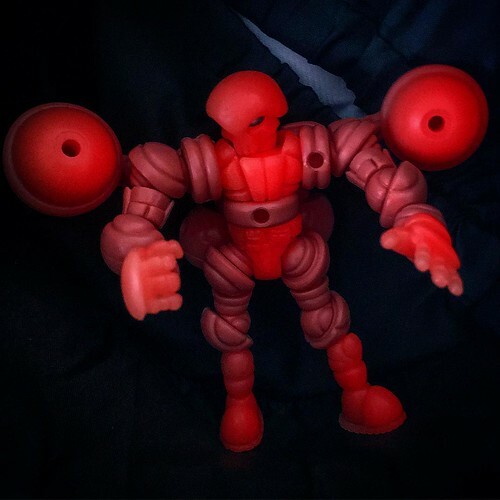 How many times do you have to take apart a few "official" figures to get the colors just right on your Banimon build or Kabuto creation? Just how does Rig Crew Brown look with Volkriun Green, anyway? 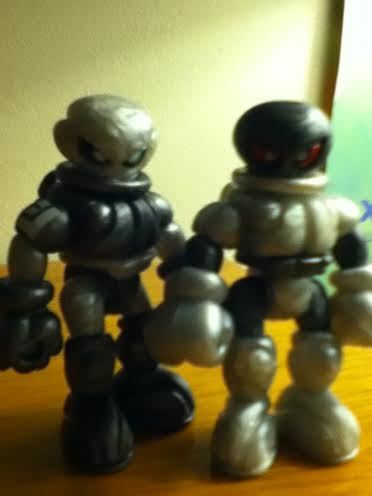 Use this thread to show off your favorite color scheme that hasn't been part of an official Glyos or sister line wave yet. This would be my favorite "unofficial" colorway, as an example: Metallic Blood Red and Metallic Gunmetal Silver. 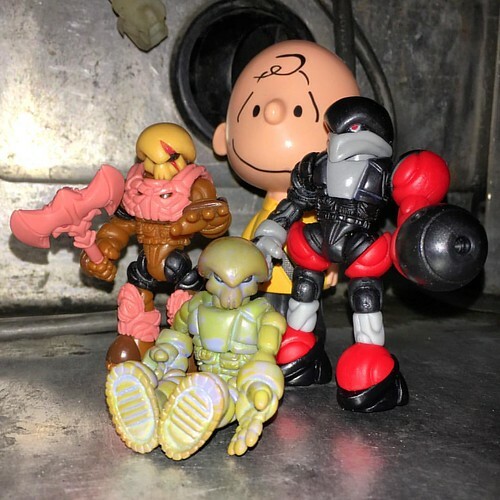 Re: Favorite "Unofficial" Color Swaps? I really like matching the translucent green with any colour. Having it inside (as with Grendel) gives the illusion of inside glowing when the light hits it right. While having most of the figure made of it gives the entire thing a cool energetic "glow". 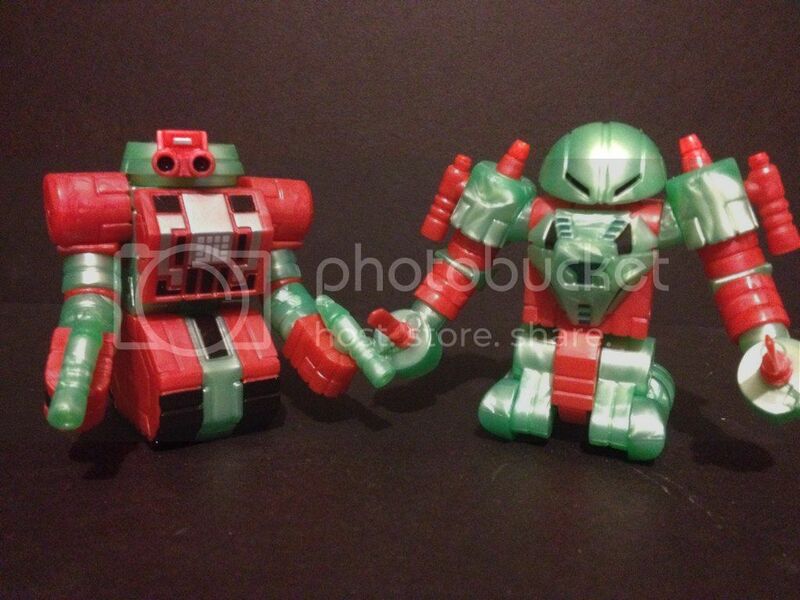 I'd really love to see how translucent Robo Force parts would look! Also, whenever I look at my own posts that included pictures, even old ones, the picture wouldn't show on my end, just the word "Image" would appear. Do the pictures appear to you guys? Because to me it's still just the word "image." This thread may just be what motivates me to get better shots of my favorites! Big_McLargehuge wrote: Also, whenever I look at my own posts that included pictures, even old ones, the picture wouldn't show on my end, just the word "Image" would appear. Do the pictures appear to you guys? Because to me it's still just the word "image." They loaded just fine for me now. If it's intermittent, perhaps it's traffic lag with the server, or maybe having reached a maximum data transfer for the month, or something similar? I'm digging the way Rig Crew colors play with flesh. Don't really have a lot of Rig Crew to play around with though. Gearius in his skin armor has been a keeper so far. I like the combination of ultra bronze with almost any shade of light green. Aqua makes for a good weathered bronze accent. Neo phase green plays nice with bronze (and many other colors) too. 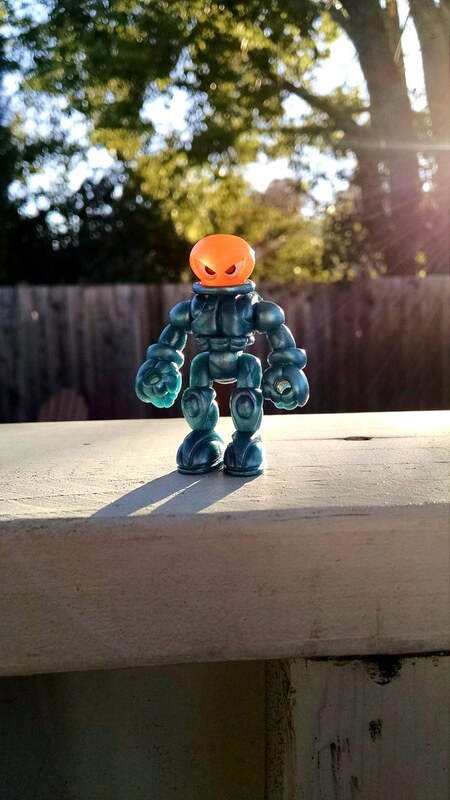 Metalliteal and neo gliporian orange has been a favorite of mine. Plus I really love ultra silver and lymerran green from that blog post. And ultra silver with that electric revenant blue/green looks pretty great. Ultra silver is pretty much perfect with anything. Might as well add this in for posterity's sake. Over the holidays my desk was littered in these swaps I called Yuletide, everything I had that I could swap between Rebellion and Villser, but I think the Roboforce wore it best. The one on the right is my favorite. 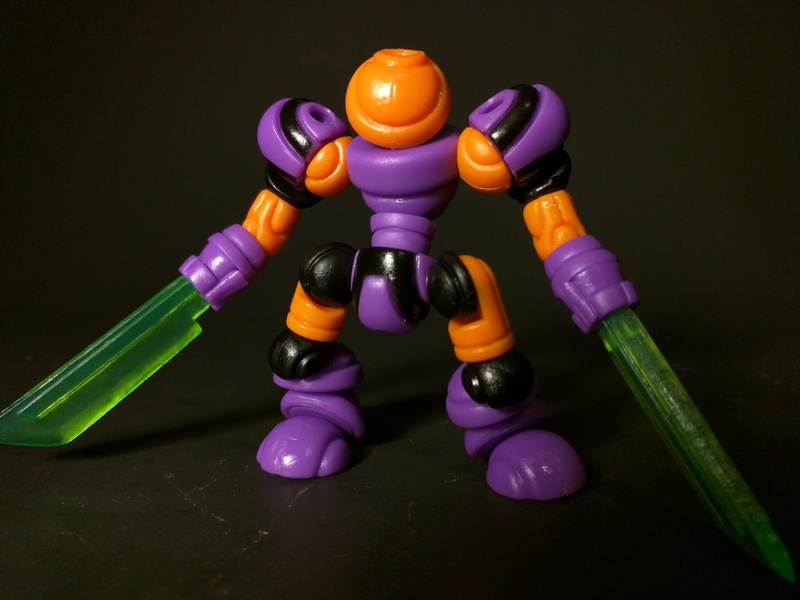 I think Neo Gatekeeper purple and "Urai" orange work great together. ^ Now that is pretty.